An ongoing project by New York based graphic designer Mike Joyce, Swissted is a series of vintage rock show posters recreated in a Swiss modernism style. Sleek typography, colourful and effortlessly cool, these posters detail actual concerts from the 70s, 80s and 90s. We recently considered purchasing a few to brighten up the inoutput office, but then had a better idea – why not make our own? The result was six Swissted-inspired posters, commemorating some of our favourite innovations in the tech world including tools and principles that we apply to our work every day. Responsive web design (rwd) is an approach where websites are crafted to ensure users enjoy a seamless viewing and interaction experience regardless of the device they are using. 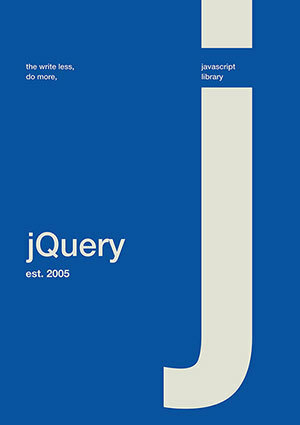 Web designer and developer, Ethan Marcotte, coined the term in May 2010. 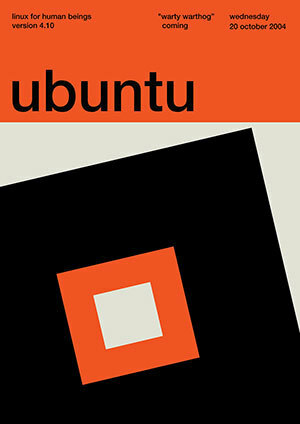 A Linux operating system, Ubuntu is named after an ancient African word meaning “humanity to others”. Each version is given a code name using an adjective and an animal with the same first letter. For example, “Warty Warthog” aka Ubuntu 4.10 was released on October 20, 2004. 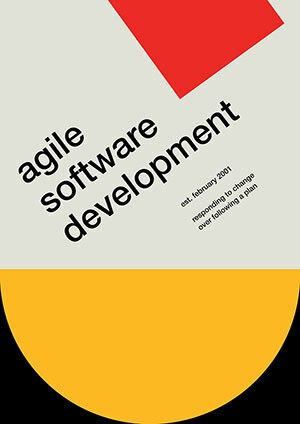 In 2001 the Agile movement was born after developers realised the traditional, waterfall approach to managing software projects was failing too often. The principles of Agile include adaptive planning and encouraging a rapid and flexible response to change. Hypertext Markup Language (HTML) is a standardised system for structuring and presenting content on the Internet. 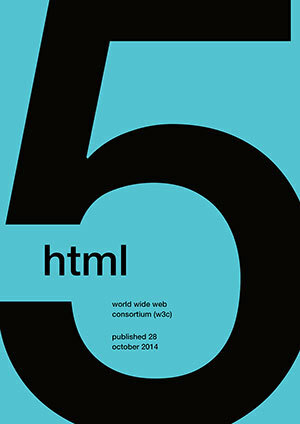 The World Wide Web Consortium (W3C) presented their recommendation for HTML 5, the fifth and current version of the HTML standard on October 28, 2014. 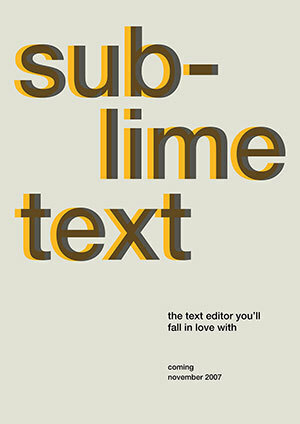 A clean and functional text editor for editing code, Sublime text is a software engineer’s best friend. We’re certainly in love! Jon Skinner created Sublime Text in November 2007 after leaving Google to pursue his dream of building a better, user-friendly text editor. 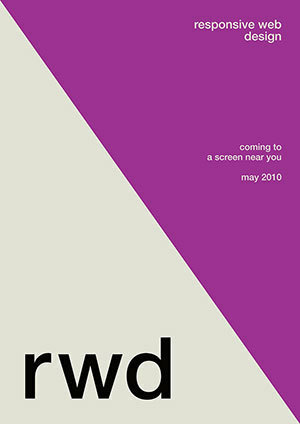 You can download PDFs of our posters to print for your own office. If you put them up, we'd love to see your photos - email them or share them with us on Facebook, Twitter or Instagram. Download the posters (135KB PDF).